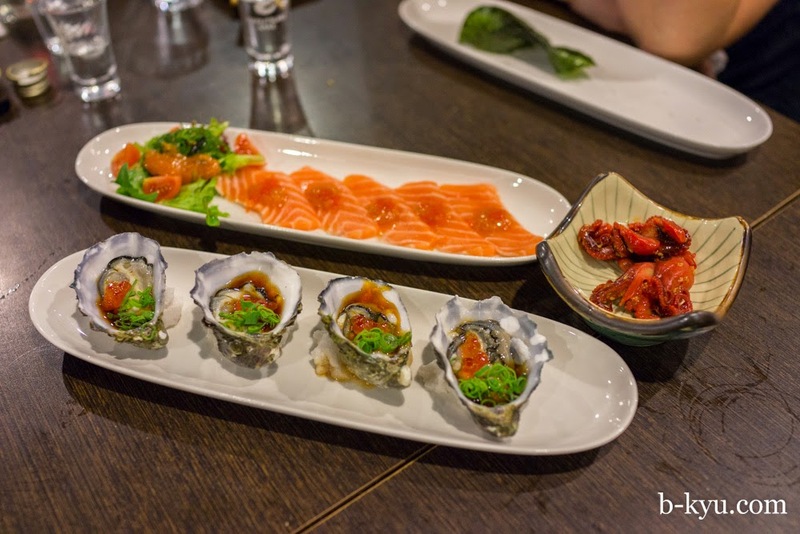 Daruma Japanese Restaurant is as close as we've come to finding the the izakaya/Japanese pub experience in Australia. 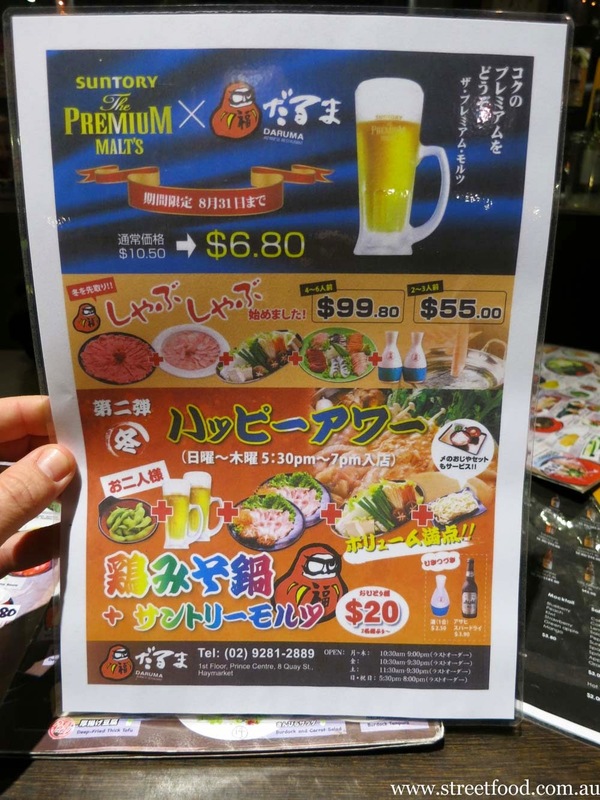 Come to think of it, it's kind of like one of those 280 yen restaurants crossed with a pub. Anyhoo, Daruma is down-to-earth, family-run, and one of the most welcoming restaurants we've been to. 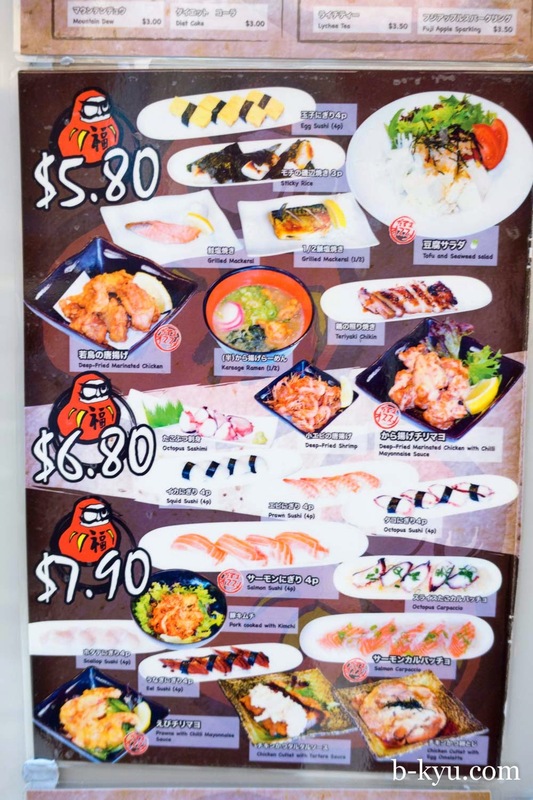 And it's one of the few Japanese joints in Sydney that Japanese folks actually eat in. 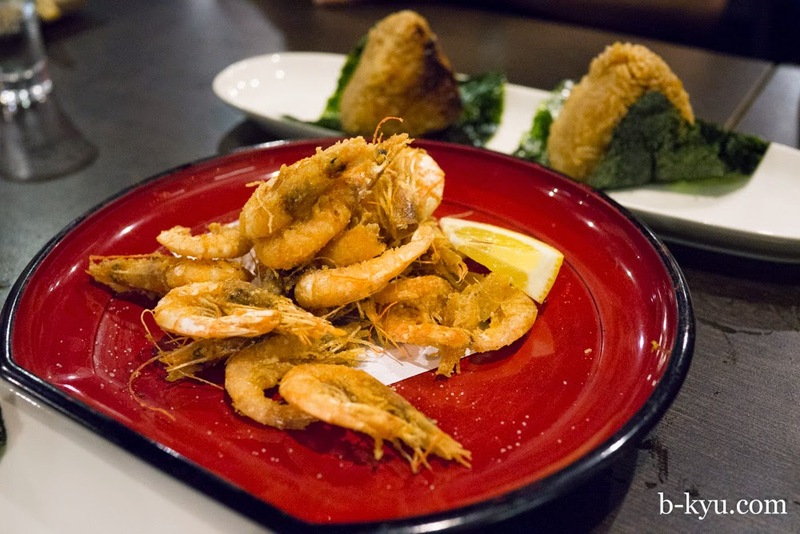 If that's not enough recommendation for you, well then you're reading the wrong blog, off to Surry Hills with you. We stumbled upon Daruma by accident. 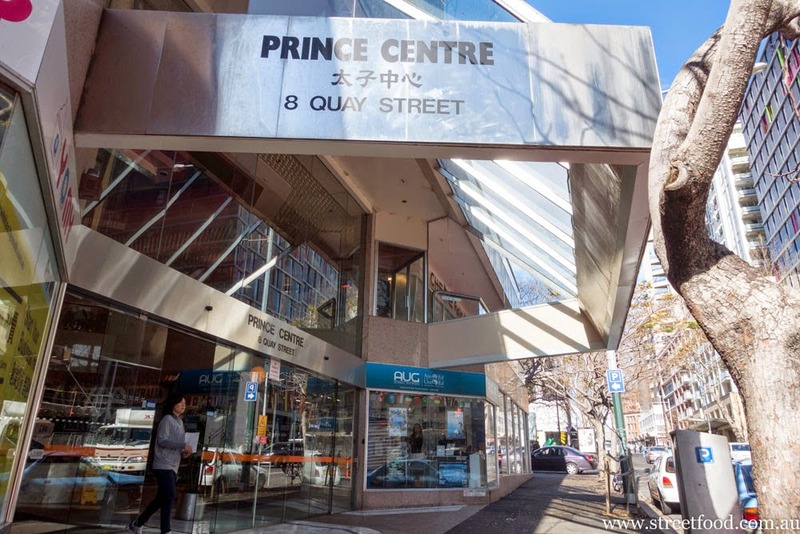 Alison was being a nosey Mrs Mangel sniffing around upstairs at the Prince Centre, marvelling at the dangly golden foyer, when she noticed a restaurant that had one of those beer tap machines like you see in little bars and restaurants in Japan. Needless to say, we visited shortly thereafter. 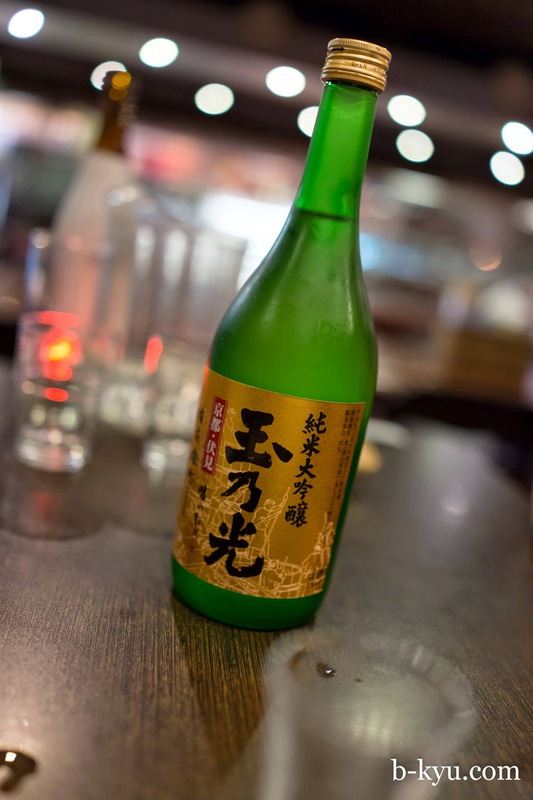 We reckon the best way to experience Daruma is with some friends over some drinky poos. Kick back and order up a storm of snackages, which start at a measly $2.80. The food is Japanese pub grub, it's not fancy but it's cooked just so, and priced just right. If you drop in for dinner and you're an English speaker you will probably be looked after by the boss's daughter, who is possibly the best front-of-house person we've ever come across, we can't recall anybody ever making us feel so welcome in a restaurant. And we've eaten in a restaurant or three. In fact all the staff here are super lovely, and are much of the reason we keep coming back. Daruma gets pretty busy, sometimes it's packed full on an odd night like a Tuesday, and sometimes there's plenty of spare tables on a Thursday. As a couple we can usually squeeze in, if planning a group visit we'd book. 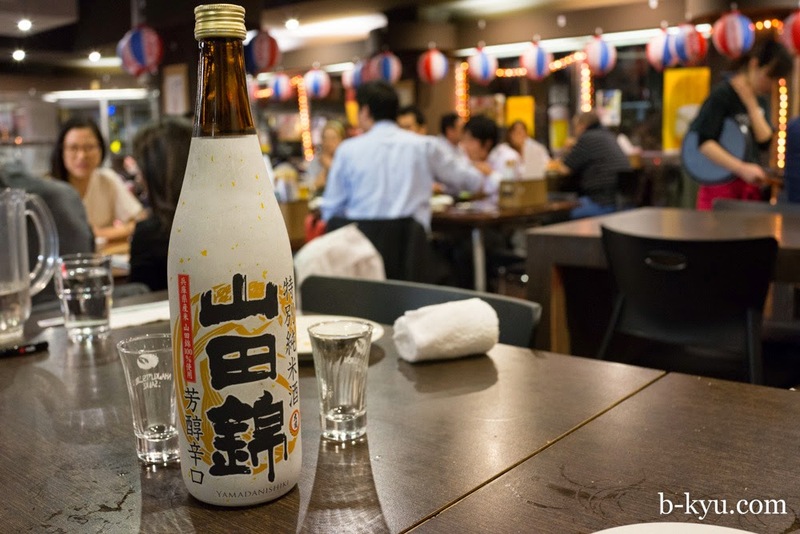 If you're not so much of a Japan-o-phile you may wonder why we're so excited about Daruma, but if you've knocked back a few coldies with the salarymen in Japan you're going to love it. Fellow Japan-o-philes will dig the draught beer here bigtime, it is pulled from one of those tap thingys that you see in small bars and restos in Japan. 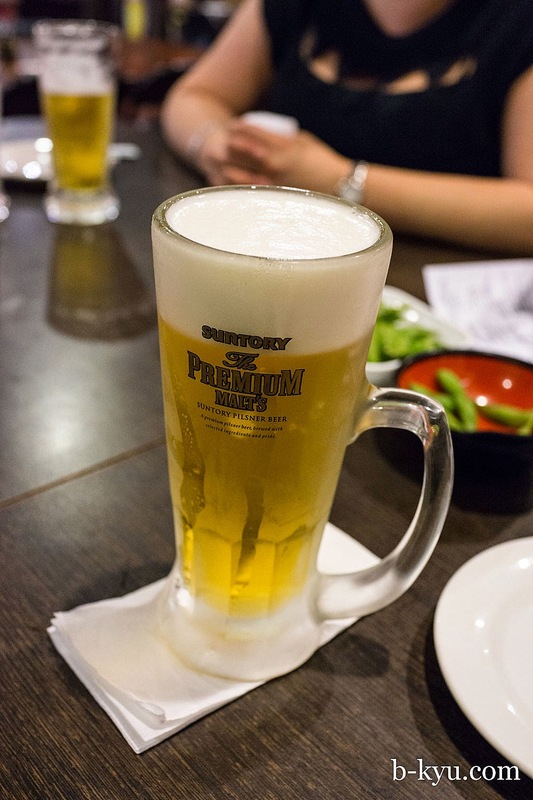 The beer is fresh with a creamy top, it's just like Japan. The draught beers are $6.80 which is a bargain, these would be $10+ elsewhere, bottled beers are cheap too. 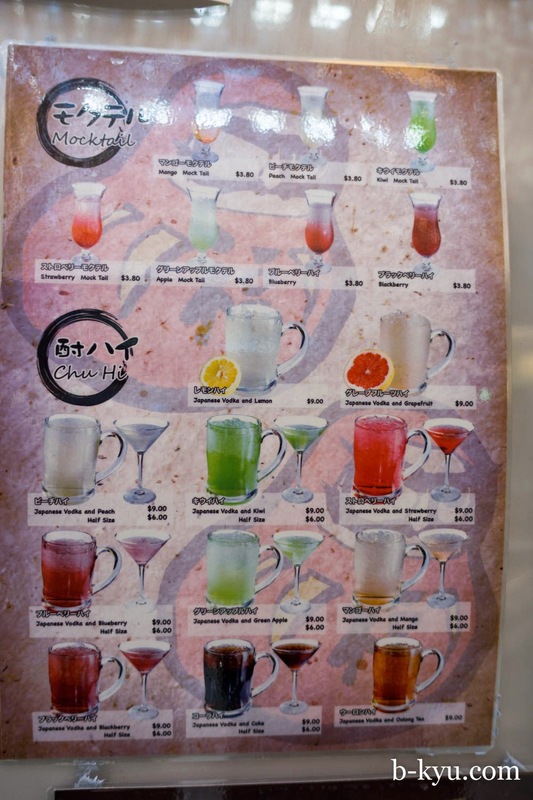 There's a good, well priced sake range as well as some fun, sweet chuhai coctails. Back to the hotpot. 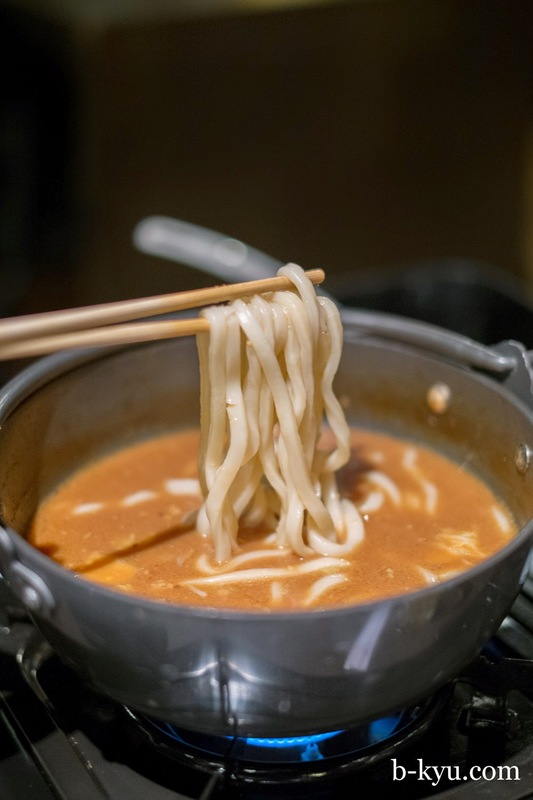 The miso broth is fired up on our table. Dunkity ingredients for the hotpot, it's a generous serve. 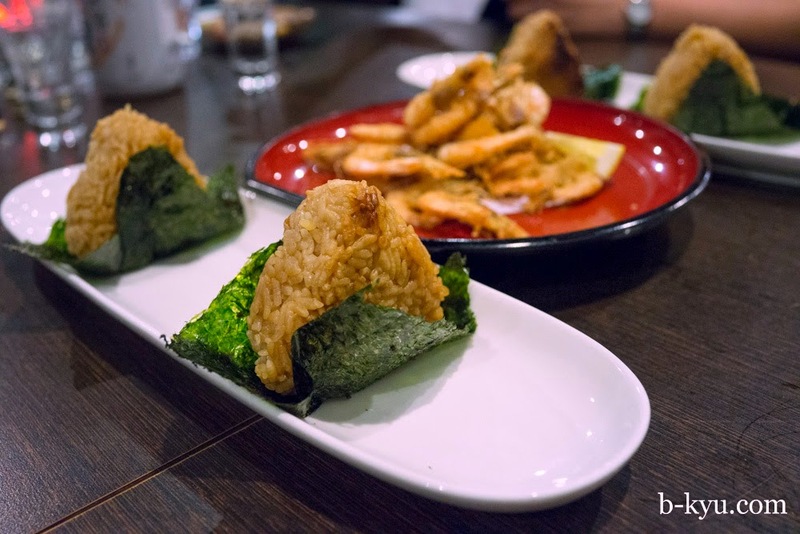 We love how the chicken thigh pieces still have their skin, adding lots more flavour. Cabbage, enoki mushrooms, shitaki mushroom slices, hard tofu and what could be chrysanthemum leaves make up the vegetables. 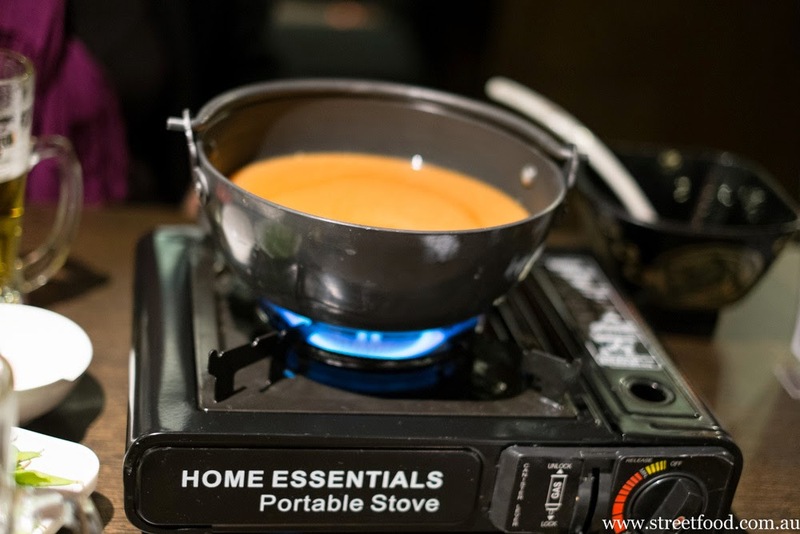 Take your time cooking up your meat, veg and noodles. Order another beer or two and laugh about how you'd pay six times the price for this in Surry Hills. Muhahah. 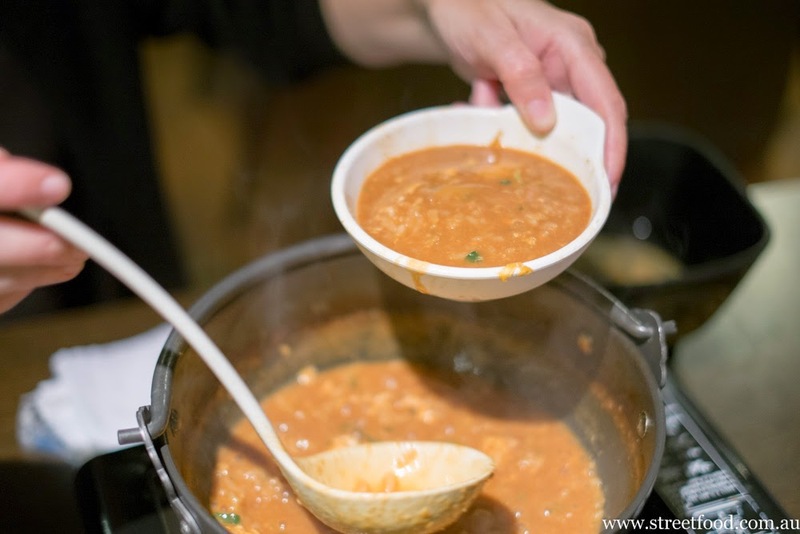 To finish off a lovely lady cooks up the remaining soup with rice to make a sort of miso congee. The soup has all the flavours from the meat and veg in it. It's a wonderful and filling way to end the meal. 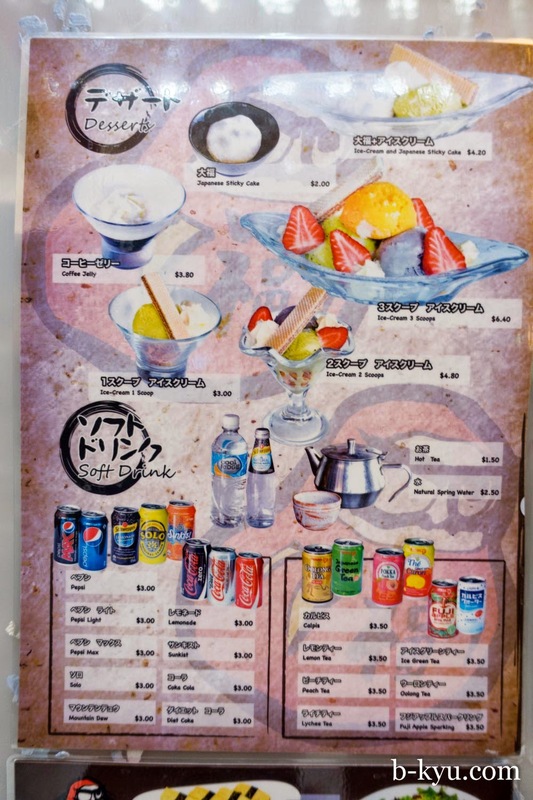 Most of the menu is small items for snacking on with beer and sake. It's fun to visit and have a few drinks and sample a bunch of these little dishes, maybe finish off something a little more substantial. 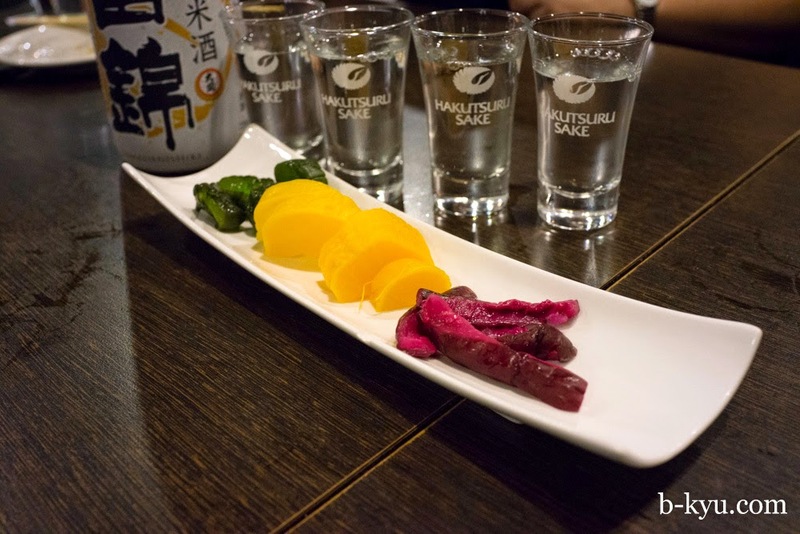 We recommend starting the night with assorted Japanese pickles - $3.80. 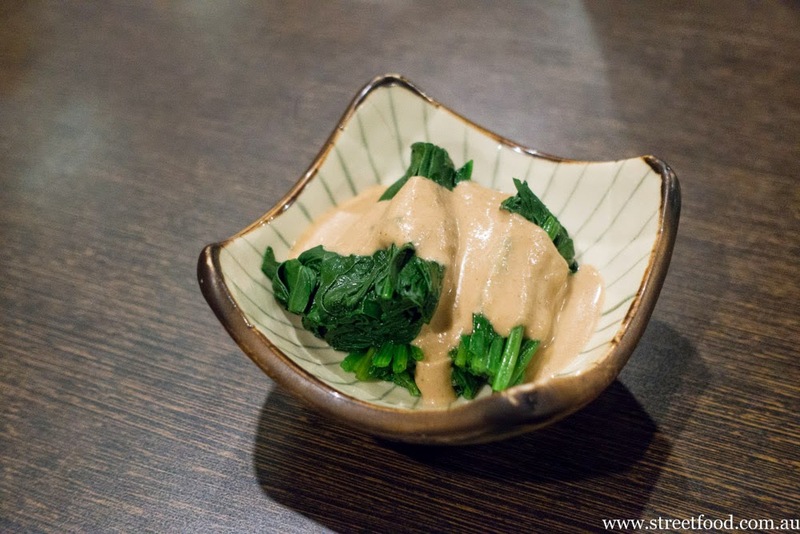 English spinach and sesame sauce - $2.80. A divine mix of greens with that uber delicious sauce of ground toasted sesame seeds mixed with mirin and whatever. It's healthy and eye-poppingly tasty. Salmon carpaccio - $7.90. 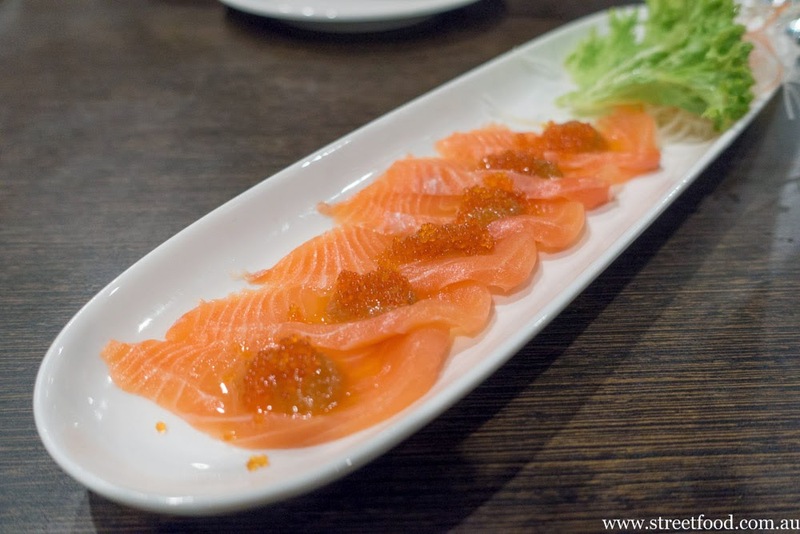 Salmon sashimi with fishy eggs. 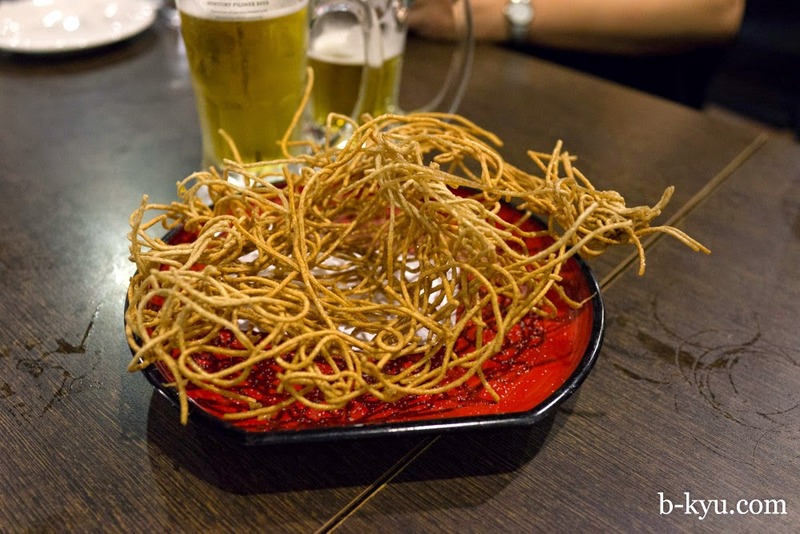 Deep fried soba noodles - $3.80. These are definite crowd-pleaser, crunchy and salty. 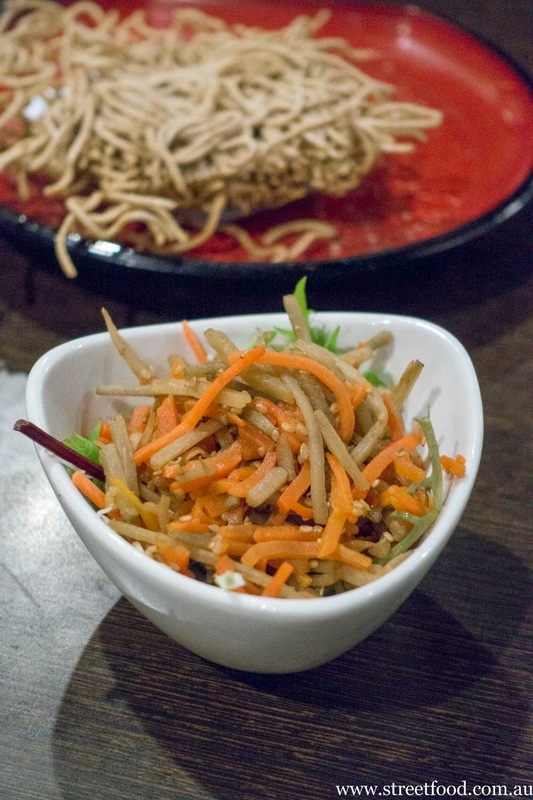 Stir fried carrot and burdock - $2.80. Some veggies to make your mum happy. 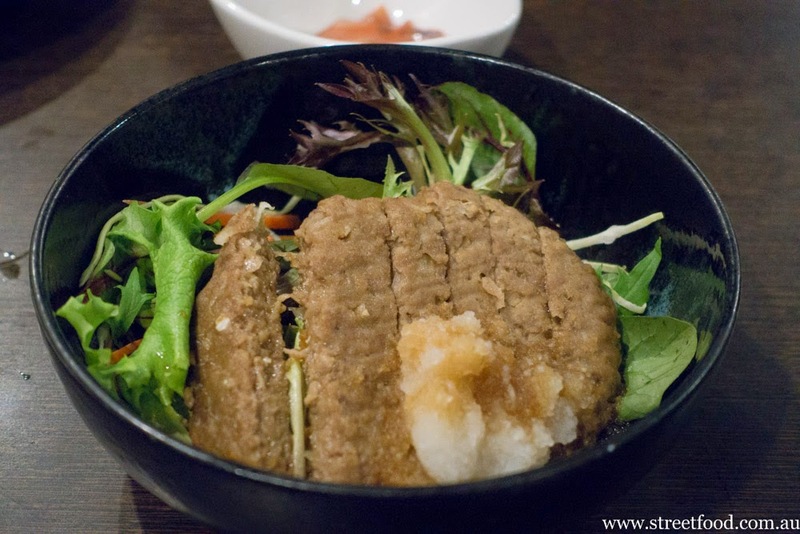 Hamburger steak with white radish sauce - $4.90. An authentically crappy patty of manufactured mystery meat, it's just like we've had in Japan. Salted squid - $2.80. An uber salty fishy booze snack, a little goes a long way. 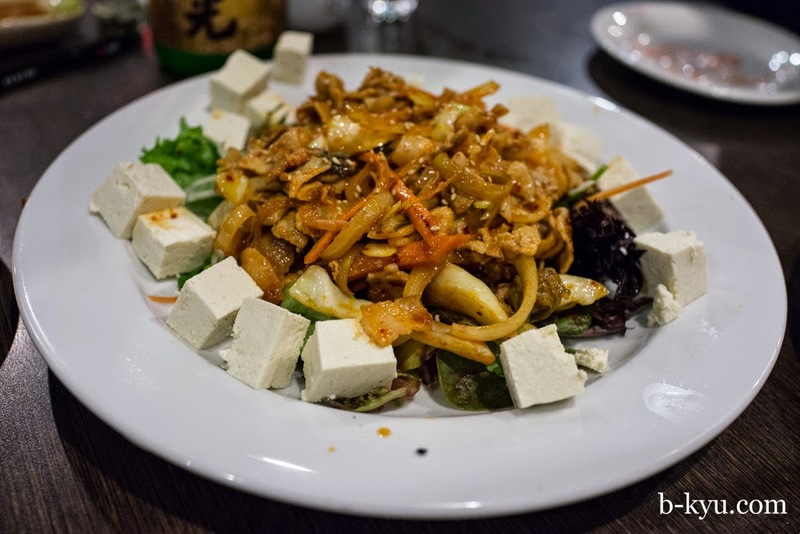 Tofu and pork cooked with kimchi - $8.80. A good stomach filler to finish off a night of snacking. 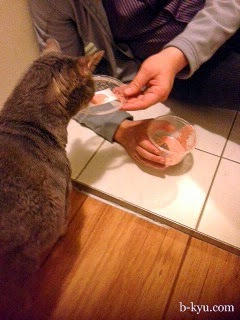 ...but we managed to sneak some cod roe sauce out for Miss Lulu J. Pussycat who gave it the paws up. Lulu usually demands fresh scampi and lobster tails. 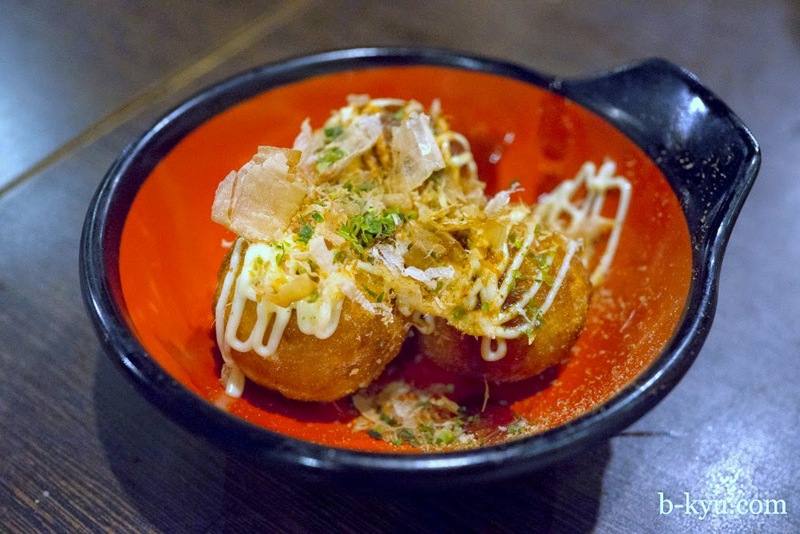 Takoyaki - everybody loves fried octopus balls, except octopuses. 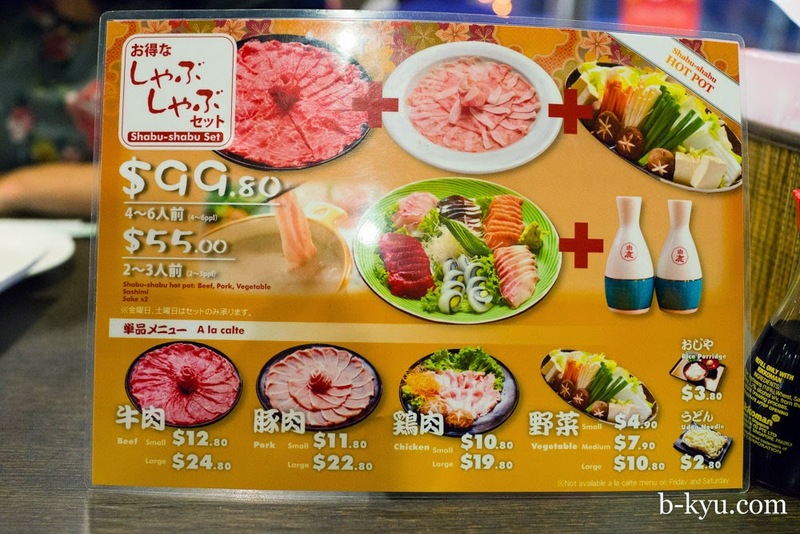 Big sashimi platter - about $38. 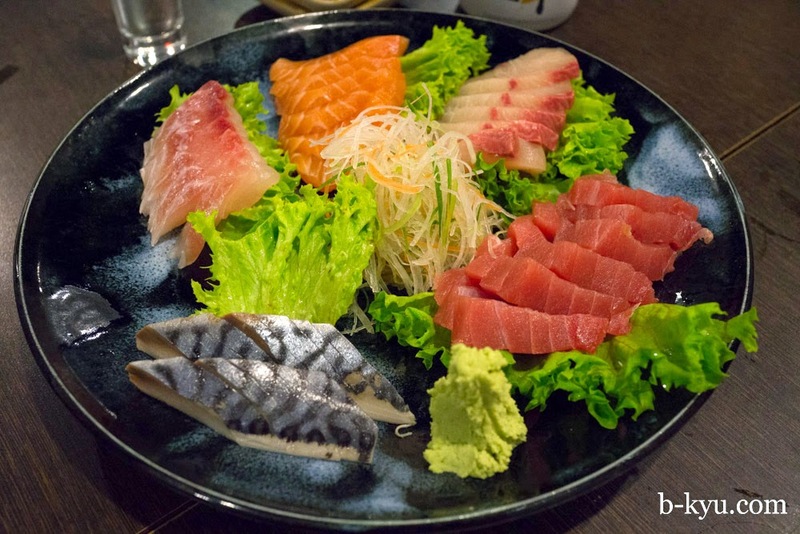 Excellent sashimi. The mackerel at the front was slightly marinated in some vinegar, a real taste balance to the fresher fish. Deep fried shrimp - $6.80. Whole school prawns fried and salted. Don't peel 'em just eat'em. Toasted rice balls $3.80. A good cheap stomach filler. 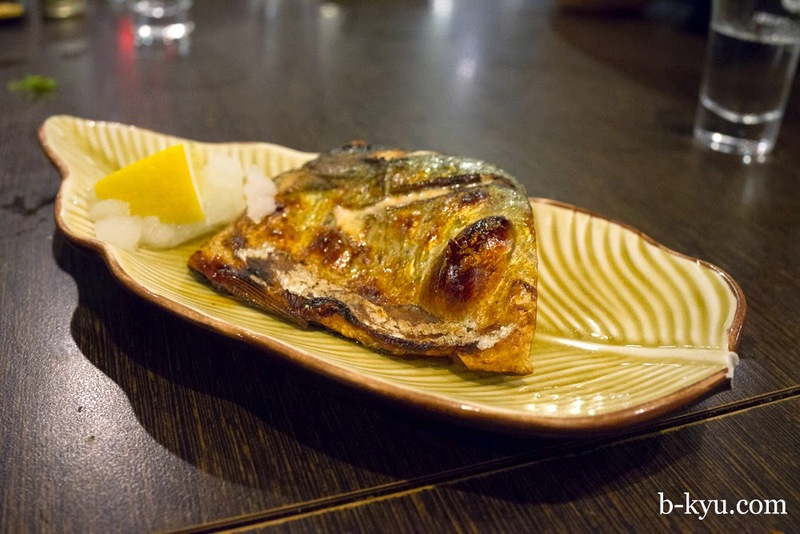 Grilled mackerel - $5.80. We've grown to love the salty, oily flavours of mackerel over the years, especially in Japanese cooking. Cold tofu - $2.80. 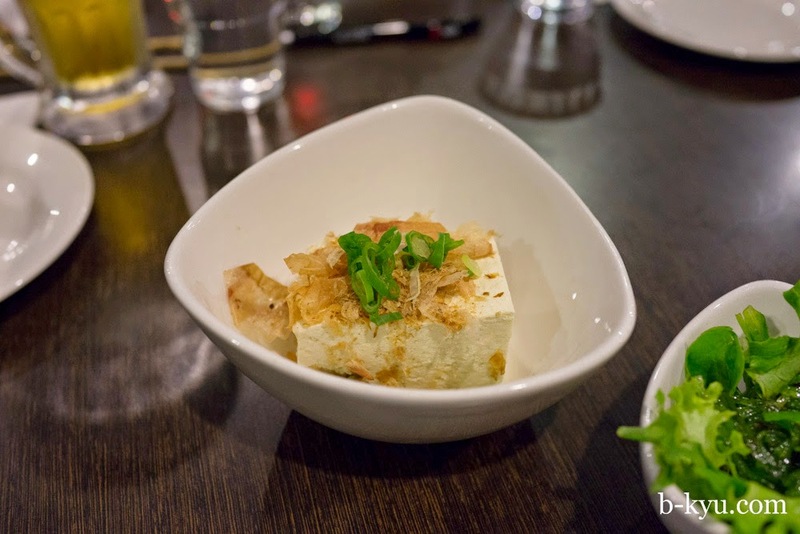 Simply tofu with some bonito flakes on top. 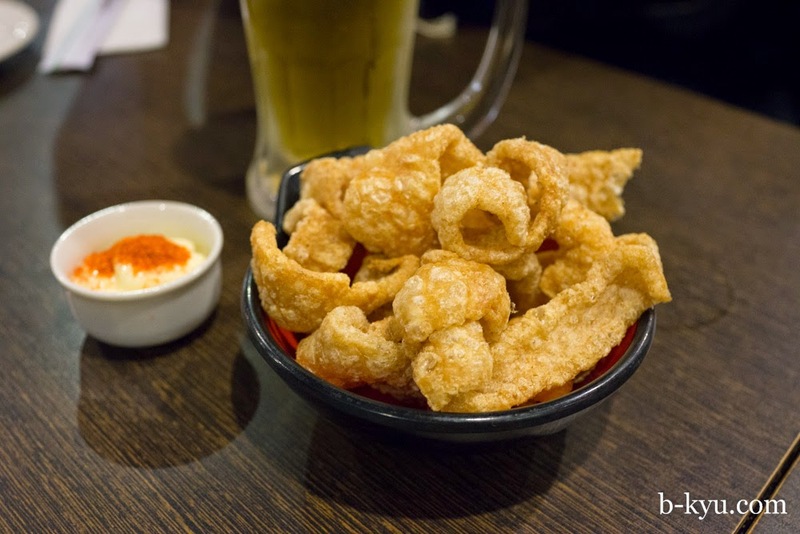 Fried pork crackling $2.80. Another sure fire crowd-pleaser, salty and crunchy. 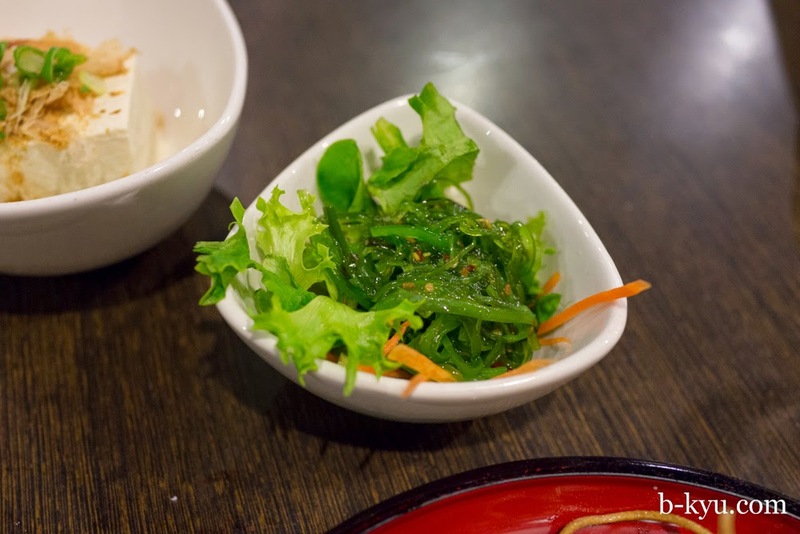 Chinese seaweed salad - $2.80. 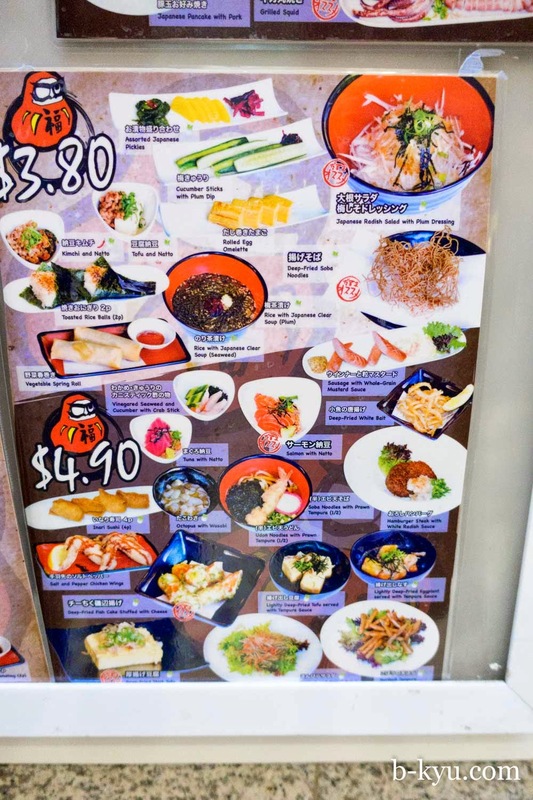 Takeaway lunch special No 1 - $5.50. 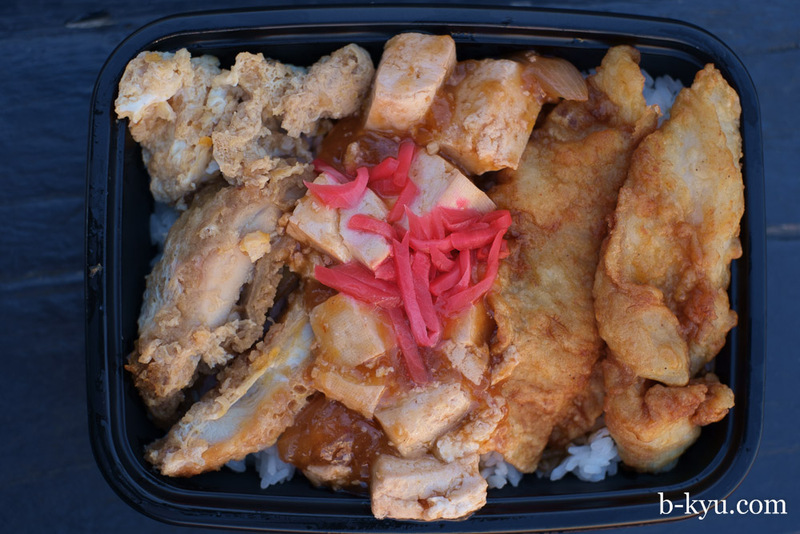 At lunch time there's a few dozen lunch boxes ready to go, a good filling lunch, killer value. This one has fried chicken cutlet with egg, tofu and fried fish fillets. 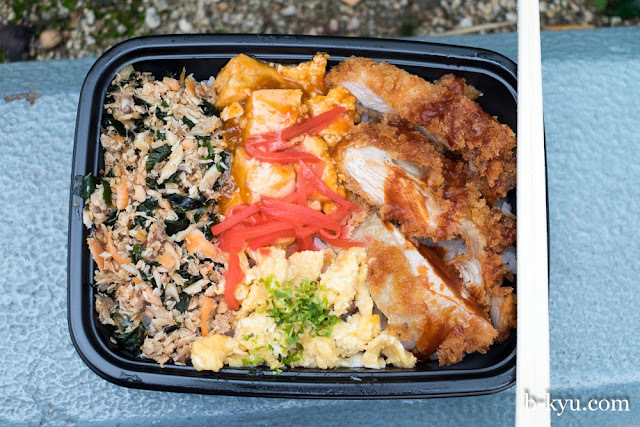 Takeaway lunch special No 2 - $5.50. Fried chicken pieces, chicken and egg, cooked shredded burdock, carrot and little ginger and a few stray soy beans. These have got to be the best value lunches in town, we wonder why half of UTS isn't in here. We've been back to Daruma several times for dinner but we don't take pictures, we just enjoy. 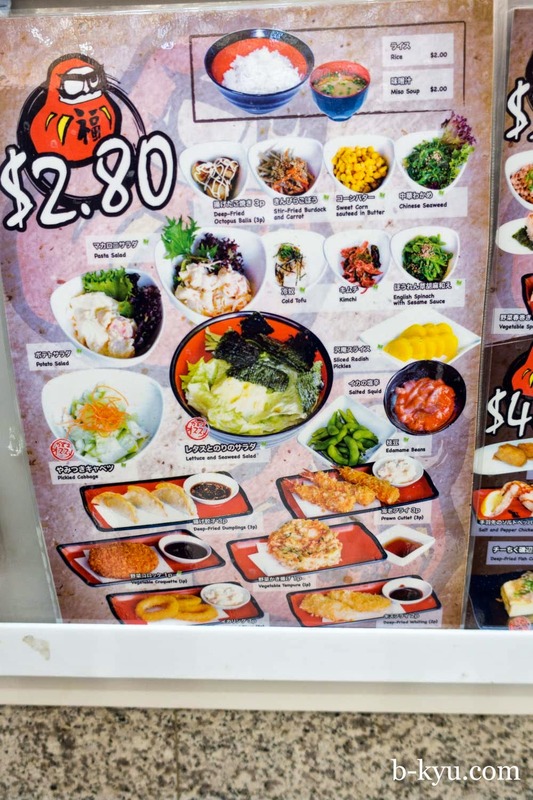 The $5.50 lunch boxes are one of the best deals in Chinatown and must be raved about. 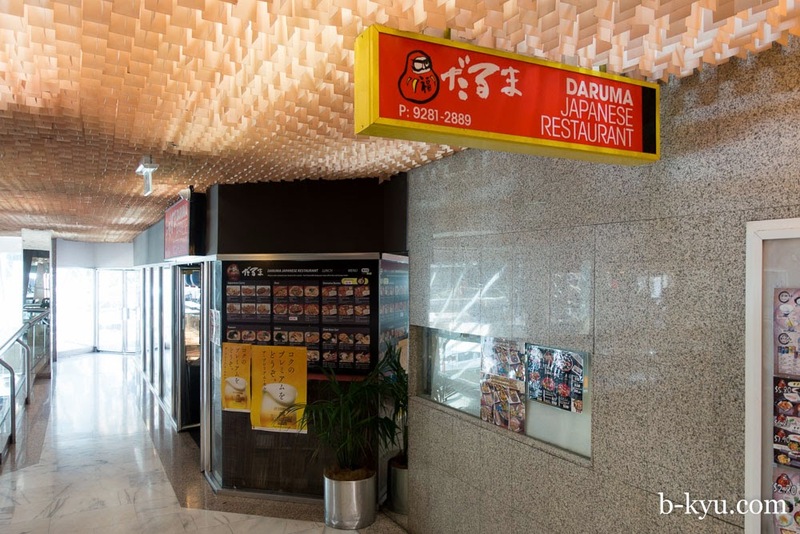 Daruma Japanese Restaurant is in the Prince Centre at 8 Quay Street, Haymarket. Head up the escalator. OK...I REALLY want to go there (especially considering that I think I failed at finding an Izakaya in Tokyo...yes, really). It has been there a while, newer places have come up that are sure snazzier but we love this one. Wow the food looks exactly like how you'd find them in japan! Based on your review (thanks! ), had a give this a go. It was great. Lovely food, but ended up being not cheap, after lots of the little dishes and then of course you have to have a few beers. A lot of fun. You found a real good one, didn't you? 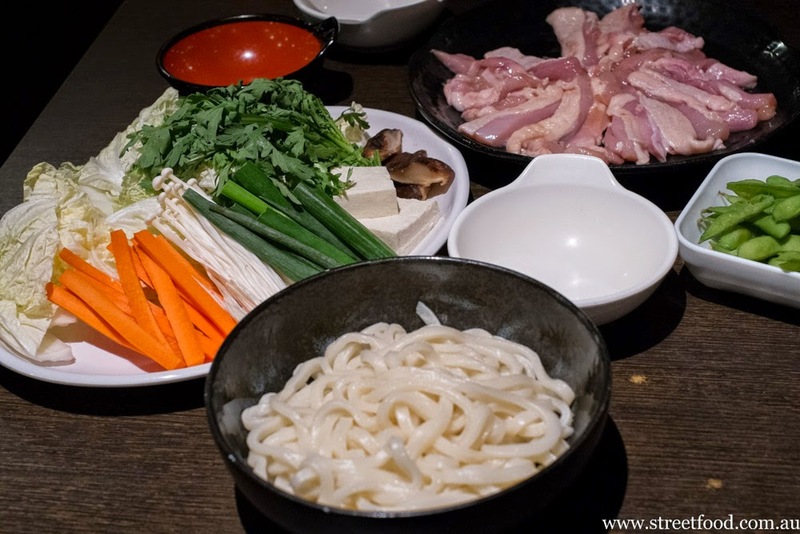 This light and sanitary atmosphere is authentic Japanese. 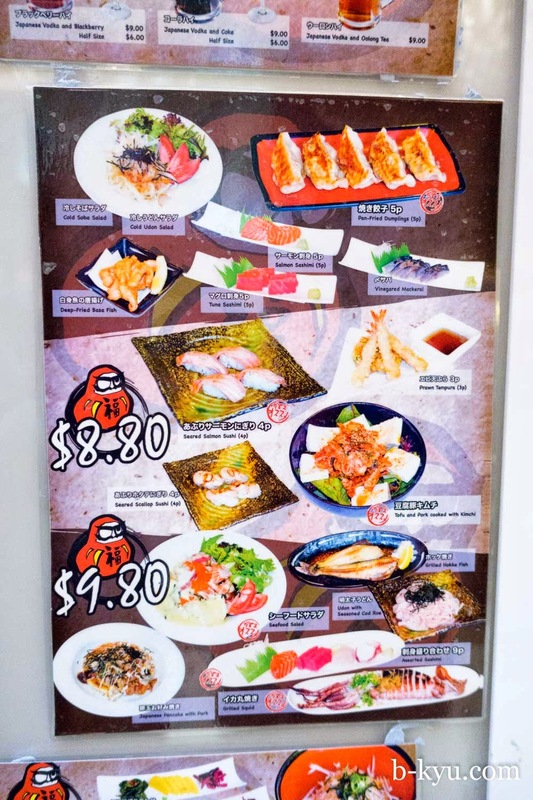 You have been introducing fake Japanese restaurants or authentic but expensive ones. This time, well done! 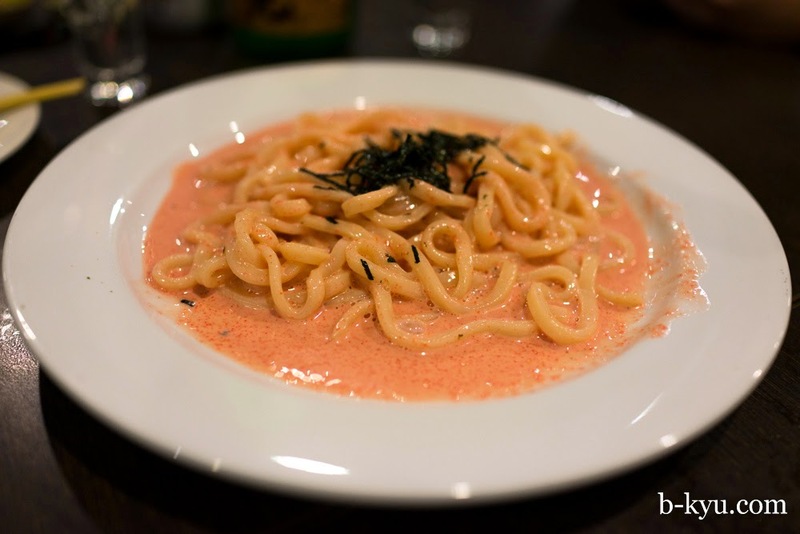 This is Aka-chouchin often found in backstreet in Japan. 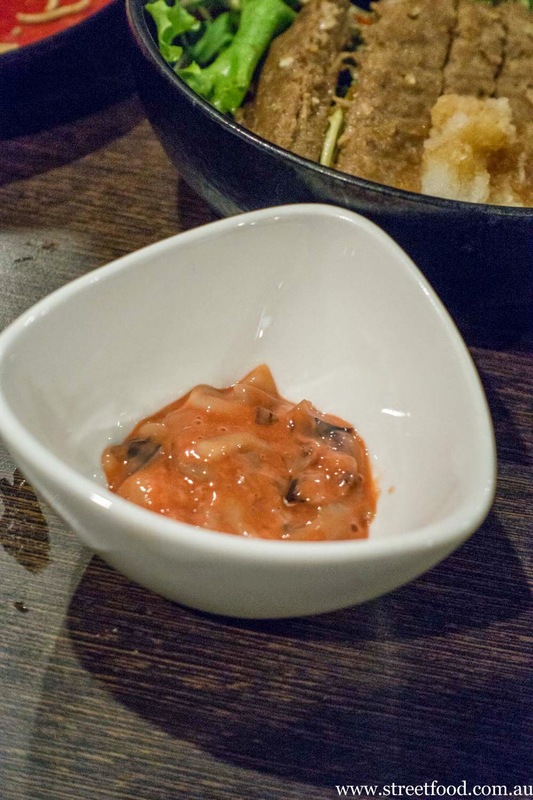 On that meaning, Junmai-Daiginjou is not suitable to this Izakaya. Btw, the one is Shiitake and the other is Shungiku, not chrysanthemum those it is called like a kind of chrysanthemum. Anyway, you had too much. Street Food tour of Taiwan - Let's Lukang!